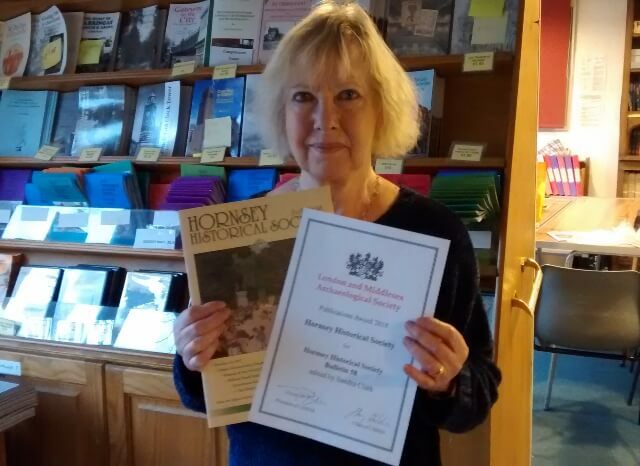 Bulletin 58 won the 2017 London & Middlesex Archaeological Society (LAMAS) Journal Prize, having secured this accolade two years previously also.Hearty congratulations go to Sandra Clark, Bulletin Editor, to those who contributed articles and reviews to this edition and to Keith Phillips who undertakes all the design work and arranges the printing. This Bulletin was Sandra’s first as editor which is another reason for celebrating. The adjudication was announced at the LAMAS Local History Conference on 17th November 2018 at the Museum of London. The judges considered it a deserving winner. It was attractively designed and fully illustrated and in colour where appropriate. The articles were clearly and engagingly written and either fully referenced or provided guidance for the reader who might wish to know more. As a reminder … as well as major articles themed on the First World War, Bulletin 58 included an article on William Health Robinson (by the editor), one on the history of Prickett & Ellis, estate agents founded in 1767 and a 1900 – 2016 survey of the shops in Quernmore Road Harringay. Bulletin 58 is still available for purchase, find out how to order a copy.